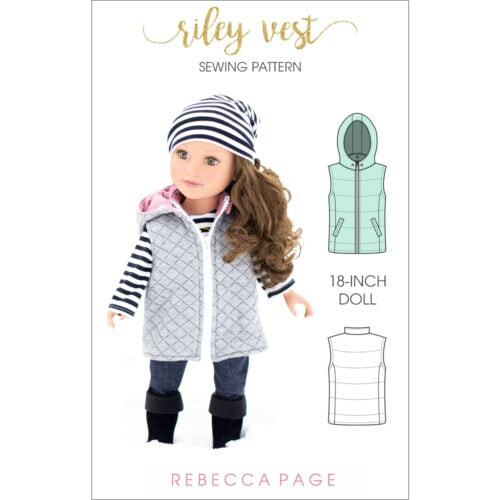 This dolls puffer vest pattern is fully lined, super cosy and really stylish! It’s designed to have enough ease to wear a jumper underneath and has interlining (batting) for warmth. The dolls version has princess seams at the back only (flat front).It’s your new staple for in-between seasons! Not used batting or interlining before? Never fear! Our step-by-step tutorial will show you how. There’s lots of photos so learning new techniques is really fun. It’s an intermediate level pattern but we had some adventurous beginners in our test group and they made some gorgeous vests too! 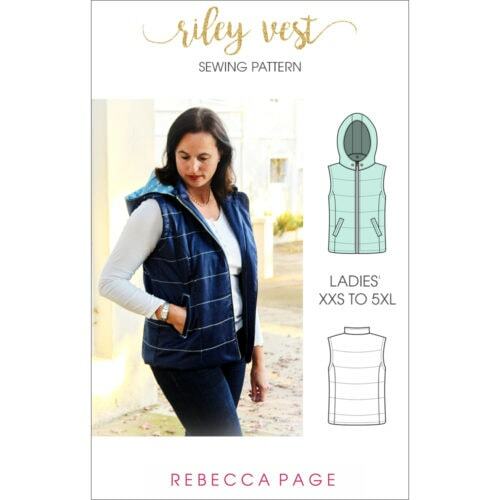 It’s a versatile, fun pattern with gorgeous results you’ll be so proud of. This is the 18 inch dolls version. Also available in childs and a ladies sizing. 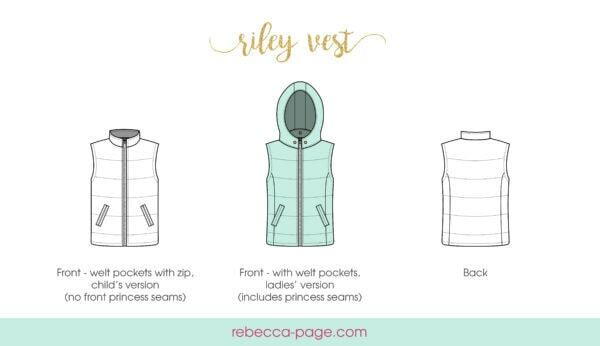 The Riley Vest was super cute and easy. 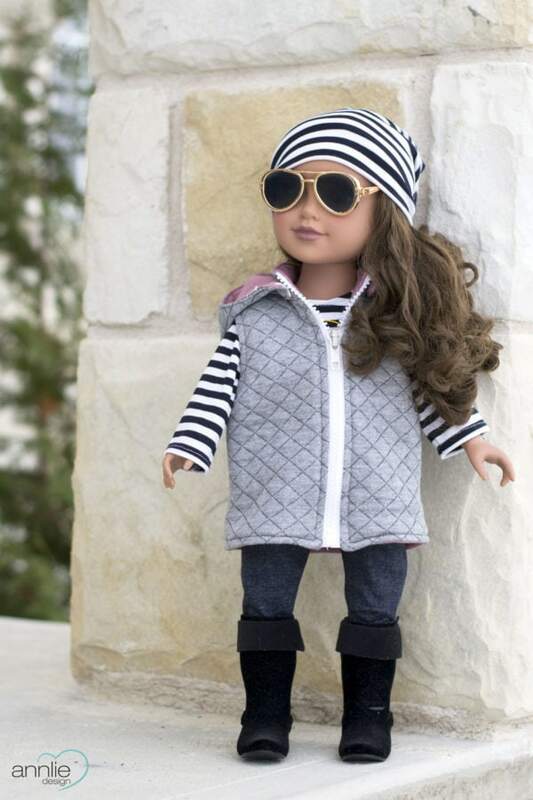 The doll size is perfect for any 18″ doll you might have and is great for a matching vest for your doll and your daughter or granddaughter! Or You could go the whole way and make a matching Mommy and Me set and then make a matching one for the doll as well. This pattern was very clear and if you are a confident beginner you would be able to tackle this pattern. Once you make one you will want to make more! Get this pattern today, you will not be disappointed! 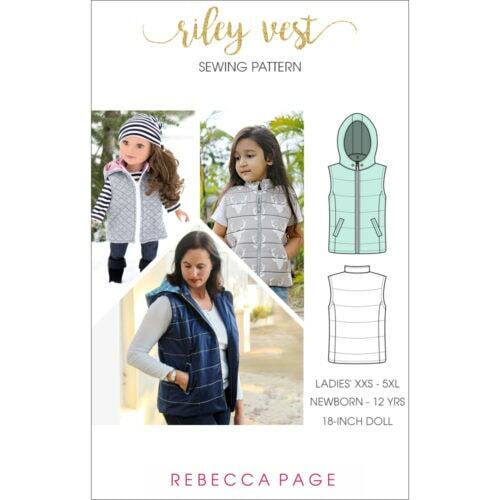 I found the Riley Vest to be quite easy to sew one I read the whole instruction before starting. The instructions are very clear and easy to follow with lots of pictures. The sew was fun and different and I will make more. Next one will be for my little girl.